We are committed to reduce aircraft-generated, climate-affecting pollutants, by going hybrid-electric. 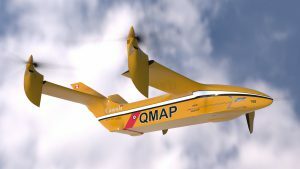 QMAP, is an advanced, versatile, multipurpose, vertical takeoff and landing aircraft. Unlike helicopters, QMAP, when in horizontal flight, flies on its wings. These two modes of operation enable the aircraft to realize the advantages associated with a fixed wing aircraft by dramatically extending its operational range and payload capability, while capable of helicopter-like vertical takeoffs and landings. Electric propulsion is quickly penetrating all modes of transportation. While pure battery propulsion is not yet practical for aircraft applications – hybrid propulsion is an excellent option. 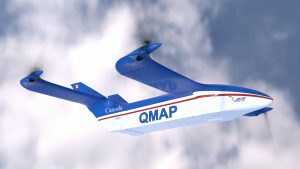 The QMAP is a hybrid electric aircraft. 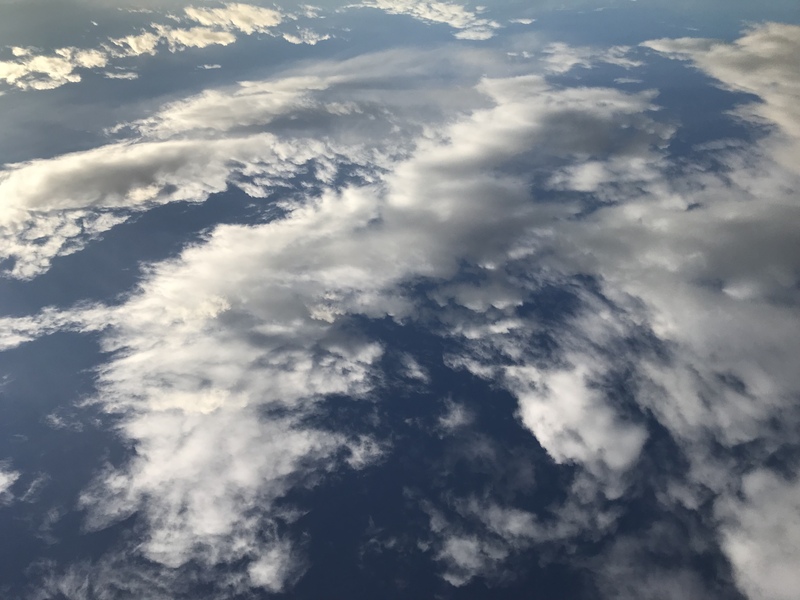 It needs extremely low power to sustain a horizontal flight, which translates into a low fuel consumption, combined with dramatic reductions of harmful emissions released to the environment. 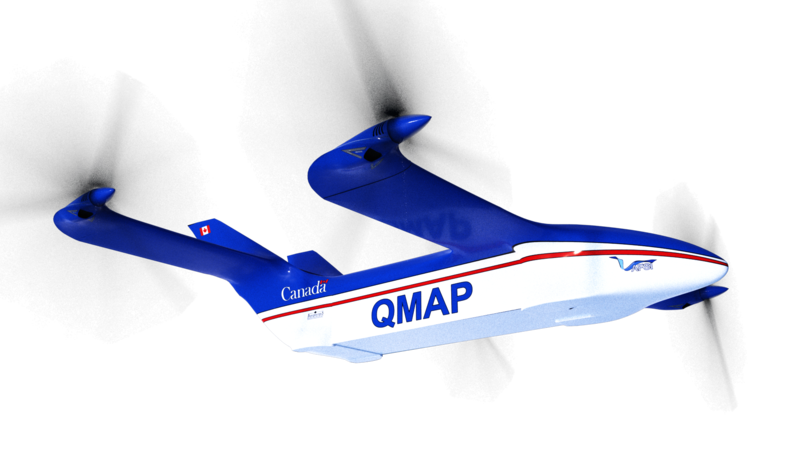 QMAP is a truly remarkable aircraft. Right from the outset, we wanted to create a flying platform capable of quick adaptation to carry varying payloads. Our QMAP delivers on that vision. 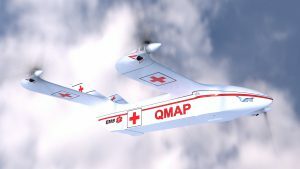 We expect the uses to include: forest fires fighting, humanitarian missions, search and rescue, cargo delivery, mail delivery, reconnaissance missions, and many other applications. The physical size and weight of the payload are the only factors that need consideration. Please note: To protect our intellectual property, the wings as shown in the renderings are not accurate representation of our patent pending LSUT and AOSL technologies. 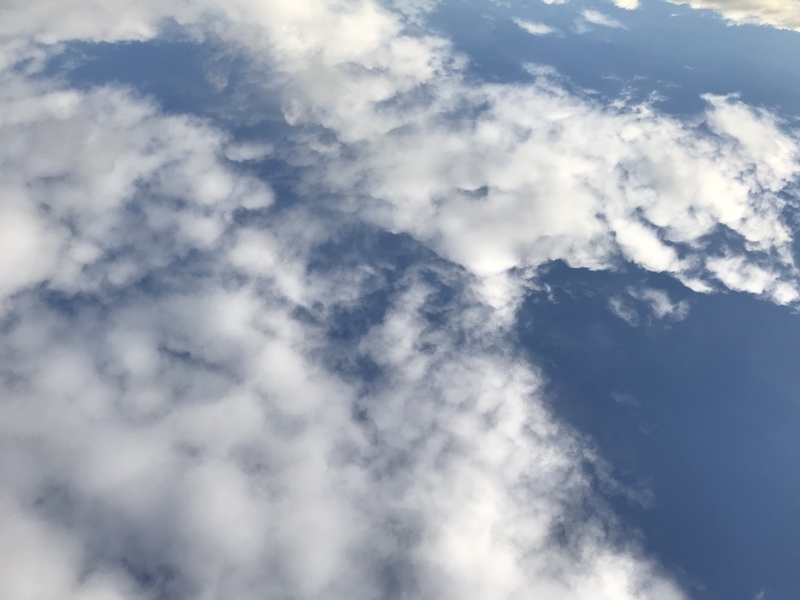 Autonomous Flight System Inc., is a Canadian research and development company, active in the autonomous and semi-autonomous aircraft development industry. We are located at the Boundary Bay Airport, located in Delta, British Columbia, Canada. 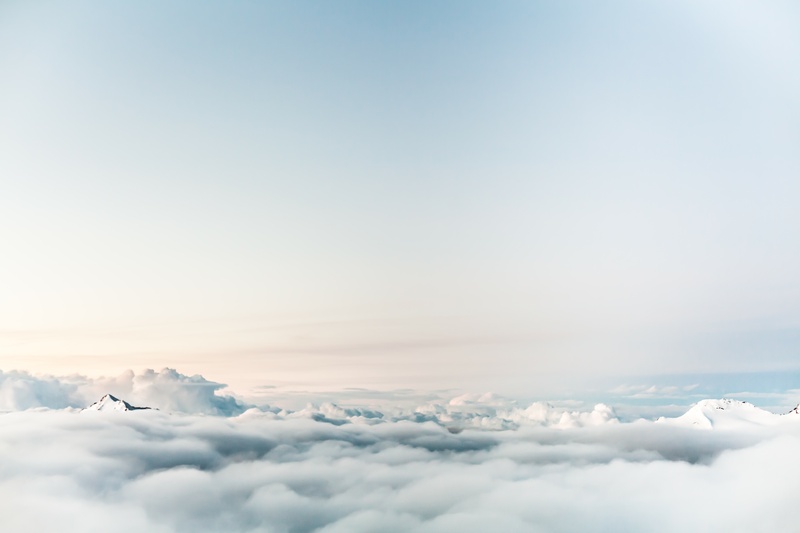 Our primary focus is the development of large-size, unmanned, vertical takeoff and landing aircraft, with transition to and from horizontal flight. Our aircraft employ our patent pending “Lift Share Upset Technology” (LSUT) and “Airflow Optimized Shared Lift” (AOSL) technologies. After several years of R&D, design, development and testing, we have successfully achieved our primary goal: VTOL operations with stable transitions to and from horizontal flight. Copyright 2017 Autonomous Flight Systems Inc.